Get organized, minimize stress, and streamline packing with these handy multi-sized cases. Constructed of lightweight mesh and fabric quilted to Soft and Stable, the cases hold their shape and are perfect for sorting and separating all your travel needs. A soft mesh window on top gives breathability and easy identification of contents -no more digging through the whole suitcase to find the swimsuit and flip flops. 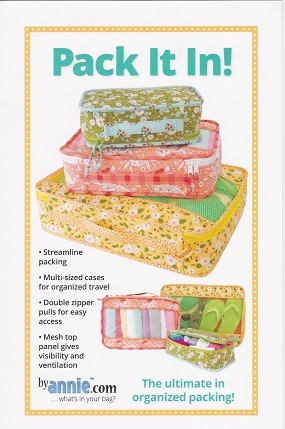 Perfect for gifts for anyone who travels or has “stuff” to store!